When we think of dinosaurs, we tend to think of the classic ones, such as the T. rex or Triceratops. However, there’s a lot more to dinosaurs than we might think. Every year, scientists discover more dinosaurs that change the way we look at the animals who walked this planet before us. You know what’s even better than The Lord of the Rings and dinosaurs? The combination of the two. In 2012, paleontologists discovered a carnivorous dinosaur the size of a T. rex. They then based its scientific name on one of the most iconic villains in literature history: the dark lord Sauron. You may wonder why paleontologists decided to name a dinosaur that hunted through North Africa after a dark sorcerer. It all has to do with the fossil they found. The specimen was a massive eye socket. Amazingly, they managed to determine that this was a completely separate species just by looking at the socket; the prominent dome right above it, scientists say, distinguishes this carnivore from other similar predators. According to the Smithsonian magazine, the dome might have been used for mating displays or for fighting. Oftentimes, the public focuses on the larger, more famous dinosaurs. We know all about Triceratops, T. rex, and Stegosaurus. (Although those of us who watched The Land Before Time as kids might have known them as threehorns, sharpteeth, and spiketails.) But it’s often the smaller, lesser-known dinosaurs that are more important in the evolutionary chain. Eodromaeus, aka “dawn runner,” lived 230 million years ago and is believed to be the ancestor of the Tyrannosaurus rex. The creature has many features similar to the T. rex, including air pockets in the skull and a balancing tail. The discovery of earlier dinosaur species is immensely important for science, as the way dinosaurs evolved over time is not greatly understood. Researchers hope that discoveries like Eodromaeus will allow them to understand how monstrous beasts like the T. rex, Allosaurus, and even the birds chirping away in the trees came to be. None of us will ever look at barnyard chickens the same way again. This 3-meter-long (11 ft), 225-kilogram (500 lb) oviraptor was dubbed the “chicken from hell” by the paleontologists who discovered it. In fact, the genus name comes from the name of a feathered demon in Mesopotamian mythology. Described as a devil version of the modern cassowary (a large ground bird related to ostriches), the skeleton found was remarkably well preserved. Researchers concluded that despite its respectable size, the dinosaur probably feasted on plants and small animals—which means we probably wouldn’t have been on its menu. Scientists have described it as the “Swiss Army Knife” of the Cretaceous period, with its claws specially designed for grasping small animals and its jaw designed for tearing leaves off. What’s really special about this find is that it’s one of the very few complete oviraptor skeletons discovered in North America. Most of them are usually discovered in Asia. Despite the confusing scientific name, this newly discovered dinosaur actually has a pretty hilarious nickname: “Pinocchio rex.” We all remember Pinocchio—the singing, dancing wooden puppet who becomes a real boy to a chorus of “When You Wish Upon A Star.” In the movie, Pinocchio is cursed to have his nose grow whenever he lies. That’s how this tyrannosaur got its name—after its really long schnoz. The Pinocchio rex’s snout was long and slender, with several horns poking out from its muzzle. In fact, its massive nose was about 35 percent longer than the noses of other dinosaurs with the same body size. Despite its somewhat ridiculous appearance, scientists believe that this tyrannosaur might have been faster and stealthier than its more famous cousin. Qianzhousaurus isn’t the only tyrannosaur with a nose that most would go under the knife to get rid of. Other tyrannosaur fossils were found with elongated snouts, but scientists thought they were juveniles stuck in an awkward stage. The Pinocchio rex, however, is an adult—and proves that these noses are all natural. Noses aren’t the only big things scientists are digging up. This dinosaur, found in Portugal, was not only one of the bigger predators but one of the largest terrestrial animals to ever roam around Europe. This species was up to 10 meters (33 ft) long and weighed between four to five tons. Originally, scientists believed that the dinosaur belonged to North American Torvosaurus tanneri species. However by examining the bones, namely the teeth, they were able to differentiate between the two. Specifically, the species T. gurneyi actually had fewer than 11 teeth in their upper jaw, while T. tanneri had more. But what they lacked in quantity they made up for in quality—T. gurneyi’s teeth were up to 10 centimeters (4 in) long. Scientists have also found fossilized embryos of the mighty European dinosaur. While it’s definitely true that other carnivores in dinosaur history were larger, Torvosaurus gurneyi wins the prize for being one of the largest predators of the Jurassic period. Most of this list focuses on meat-eating dinosaurs, because let’s face it—they’re completely awesome. But there have recently been some major discoveries of plant-eating dinosaurs as well. This sauropod, discovered in northwestern China, is believed to belong to Titanosauria—the largest group of dinosaurs to ever have existed and one of the largest land animals to ever walk the planet. The bones are believed to belong to a juvenile, but even so, it was around 15–18 meters (50–60 ft) long. Scientists believe that this species might have been the most evolutionarily advanced Titanosaur yet discovered in Asia. This has helped clarify the relationship between sauropod species found in China and elsewhere. Although the US has traditionally been the location with the greatest diversity of dinosaur fossils, China managed to surpass that record in 2007. Not one, but two skeletons of a new species were discovered inside of a Spanish mine. At first, the scientists assumed they were a subspecies of the Ankylosauria group. However, there were some key differences that proved there was more to these dinosaurs than met the eye. Their skulls were shaped more like a teardrop, while ankylosaurs have triangular heads. Also, their hips were much more arched than those of a species belonging to the Ankylosauria group. Europelta carbonensis means “Europe’s shield from coal.” This new species is actually a part of the Nodosauridae family, which lived on practically every continent from the Late Jurassic to the Late Cretaceous. European Nodosauridae differ from North American Nodosauridae. The fact that Europelta, found in Spain, is so similar to the other European Nodosauridae suggests that Europe and North America separated around 110 million years ago, rather than 80 million years as was previously thought. This could be the sauropods’ more awkward family member, considering it’s the tiniest of them all. Of course, “tiny” is definitely a relative word, because it’s still around 9 meters (30 ft) long. However, it’s believed that it weighed no more than a modern-day elephant. While it’s not a brand-new discovery, it is the first of its kind to be found in South America. Back then, the two American continents were beginning to separate from each other, and there was an entire ocean forming between them. 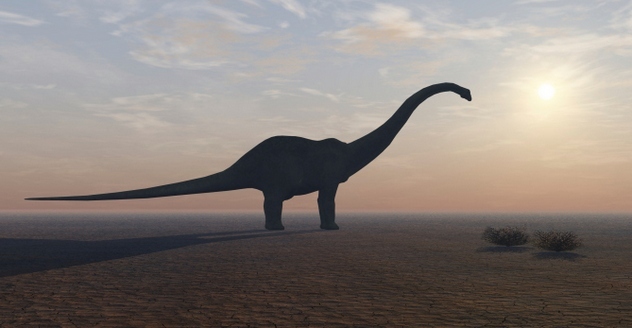 Larger sauropod species, such as Argentinosaurus, lived in South America until the end of the dinosaur era. 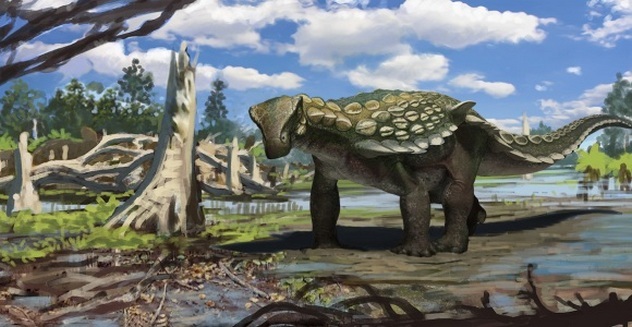 However, Leinkupal laticauda belonged to the sauropod family known as Diplodocidae. They were much more slender, with extremely long necks and tails that they would use like whips against predators. Not only had no diplodocid fossils been found in South America before, the fossils of this species were discovered to have come from the Early Cretaceous period. All other diplodocids had died out by the Late Jurassic. This is the predator that ruled over Tyrannosaurus rex—at least for a time. The name is based on a cannibalistic monster in the legends of the Native American tribes who lived where the dinosaur was found, around Cedar City, Utah. Siats meekerorum walked the North American continent around 98 million years ago. At that time, Tyrannosaurus rex had not yet reached its full potential—the earlier T. rex versions were much smaller. Scientists believe that there wasn’t anything that could challenge Siats meekerorum at the time. But again, it’s not only the size of this monster that has scientists excited. Until this point, scientists had a 30-million-year gap in their knowledge of North American dinosaurs. This new discovery is similar to other predatory species across the world, such as the Giganotosaurus—an even bigger predator that lived in Argentina. This suggests that North America was more connected to the rest of the world than scientists believed. First of all, despite what many may believe, pterosaurs are actually not part of the dinosaur family. They are close relatives but not actually considered dinosaurs. Recently, in northwestern China, the oldest and the most primitive relative of the pterosaurs was discovered. 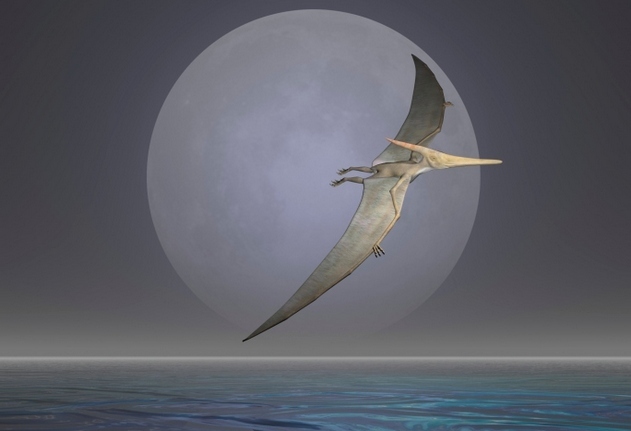 The flying reptile lived around the Middle–Upper Jurassic period and actually evolved on land, unlike the other members of this family that evolved in the sea. While some later pterosaurs could be absolutely massive, reaching the size of a small plane, this first pterodactyloid pterosaur only had a wingspan of about 1.4 meters (4.5 ft). Scientists believe that the reptiles evolved to have broader wings as they moved out toward land, instead of the more narrow wings meant for the ocean. Scientists state that this new species represents an important link in the pterosaur history, having allowed them to walk and fly in ways they never could before. Hello! I am a first-year college student at Brigham Young University. All during my high school career I worked on articles for the school newspaper featuring the wacky and weird. I also am a creative writer and am currently working on my own novel.